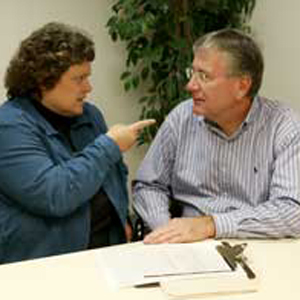 Difficult behaviors or challenging behaviors are terms used to describe disruptive behavior. Any patient may display difficult behaviors, regardless of his or her physical or mental health. However, such terms are typically used to describe patients who demonstrate the behaviors on a somewhat regular basis as opposed to an occasional outburst. This program provides an introduction to the different types of difficult or challenging behaviors, potential causes for the behavior, and methods to cope with, reduce or prevent the incidence of these behaviors when working with any patient. State the importance of support groups for the patient and family.